New programs begun in the last two years at UCLA include a resident-faculty group focused on community psychiatry, as well as health-system and community mentorships. There are also new clinical electives for psychiatry residents at the Los Angeles County Jail and the county’s Office of Diversion and Reentry. The Diversion office was created by the L.A. County Board of Supervisors in 2015 to develop and implement alternatives to the criminal justice system for people with mental illness and substance-use disorders. Spurred in part by their students, several members of the health-system’s psychiatry faculty are now working to help people who are homeless get better mental health care and permanent housing. The faculty have partnered with law enforcement, the criminal justice system, legislators, advocates and social service providers. Joel Braslow, a professor of psychiatry at UCLA, began discussing homelessness and mental health in L.A. when he found that increasingly, he stepped over homeless people in the streets on his walk to the UCLA campus. When he broached the topic with psychiatry residents, he found many were eager to help. Braslow credits an increased interest in social justice among the trainees entering the psychiatric residency program for some of UCLA’s expanding efforts toward homeless people. 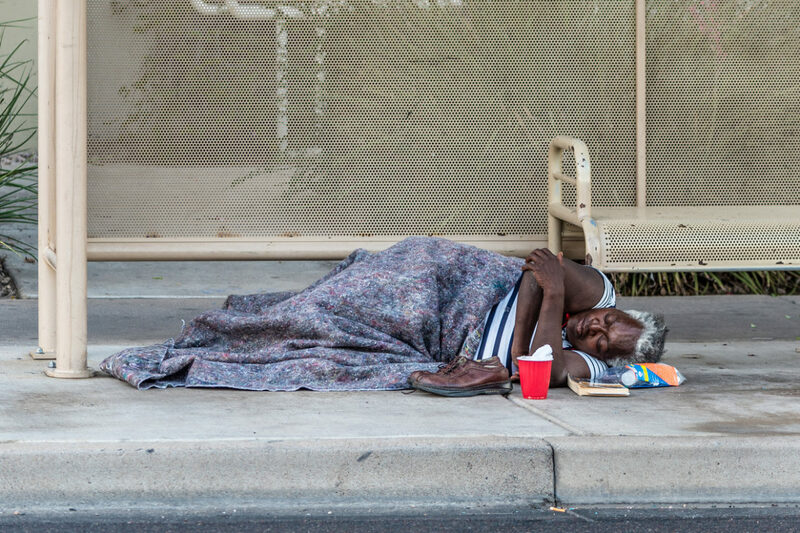 According to Braslow, after New York, L.A. has the largest homeless population with mental illness in the country and the largest incarcerated population of people with serious mental illness in the world. Adam Murray, executive director of the Inner City Law Center in Los Angeles, a nonprofit law firm that provides free legal services to the poorest and most vulnerable residents of the city, estimates there are 57,000 homeless people in L.A. and for about 16,500 of them, significant mental illness is a factor in their remaining homeless. Homelessness, and any chronic stress, can exacerbate mental illness. However, the majority of people who lack housing are not mentally ill.
Rotations at outpatient clinics that serve homeless patients at a veteran’s agency and in the community have helped residents who want to learn more about the challenges of people who are homeless and have mental illnesses. Other training opportunities include student-organized “policy and change” events that bring in community speakers on issues such as housing legislation, incarceration of homeless people who are mentally ill and approaches to treatment for people with mental illness living on the street. Among the mentors for the psychiatry residents interested in public psychiatry is Elizabeth Bromley, a psychiatrist and anthropologist, who directs the UCLA Public Mental Health Partnership, a joint project with the Los Angeles County Department of Mental Health. The goal of the partnership is to provide training and technical support for outreach providers serving “the most psychiatrically ill homeless individuals,” Bromley said. Bromley said that L.A. County, like much of the U.S., has only a small number of psychiatrists who practice street psychiatry, but through the partnership, residents have been able to connect with doctors in the field. Recently Bromley took a group of 10 psychiatrists, half of them residents, to New York City to observe street psychiatrists there treat homeless patients with mental illness on the street and in shelters. “The literature tells us that when we reach the most vulnerable and can offer high quality intervention, people do extremely well, and the ability to have psychiatrists embedded in outreach work and think through complex choices will make an enormous difference for the most chronically homeless,” Bromley said. The public psychiatry residents have gone on site visits, including to a housing agency for homeless people on Skid Row and a new center, also on Skid Row, called Refresh Spot. Run by Homeless Healthcare Los Angeles and other agencies, Refresh Spot is always open and offers restrooms, showers, laundry facilities, phone charging and linkages to other services in the area. Isabella Morton, a third-year resident and a co-chief resident of the group, says she’s excited to be working at the resident level to help train the next generation of doctors who will be working with the homeless population. Castillo says the interest among UCLA’s psychiatry residents to help homeless people follows the pattern seen in the annual UCLA CIRP Freshman Survey, which found that entering college students are more focused on civic engagement than at any other time in the past 50 years. Many of the residents interested in public psychiatry are also working with immigrants, asylum seekers and refugees who grapple with mental health issues.